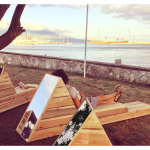 Atelier Backlar was commissioned by the Walk&Talk 2014 art festival to create this piece to bring attention to a forgotten space next to the harbour in Ponta Delgada, Azores. 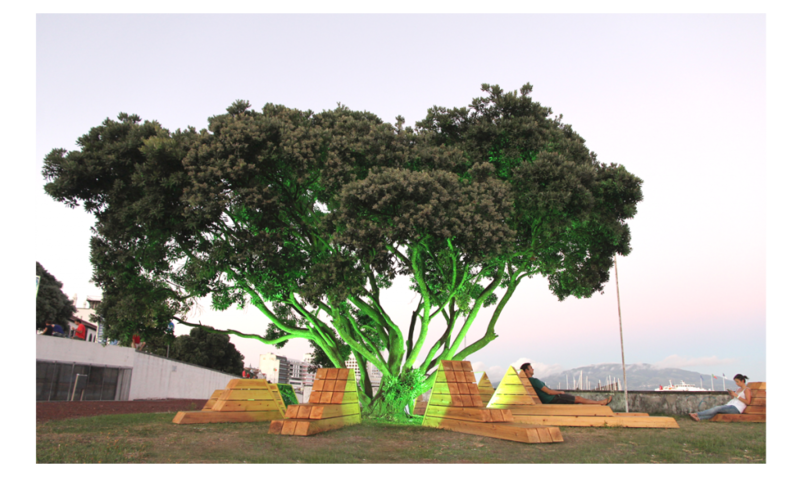 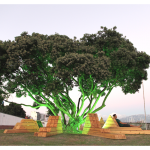 The design emphasises the beautiful tree inhabiting the space, and attracts people to stop and reflect. 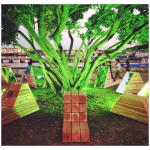 The conceptual process underwent an objective analysis of the place of implantation and the appreciation of its functional requirements. 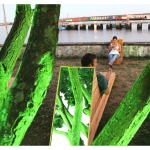 The formal development of the pieces was influenced by five external and relevant references of the space in question: the radial form of the tree (formal composition), it’s shadows (proximity to the trunk), it’s roots (spatial distribution), it’s materiality (wood) and the reflections of the surrounding landscape (mirrors).